Lucknow University has conveyed a notification regarding Lucknow University Recruitment 2014 for filling various Faculty Posts under different departments. Interested job hunters must read notification from below before applying. Energetic and dynamic job hunters who are looking for teaching jobs mustdownload application through its main website and submit it on or before last date that is 28 February 2014. For Professor / Associate Professor: Applicants must possess Ph.D degree in concerned field from a reputed University / Institution. For Assistant Professor: Contenders must possess Master Degree or its equivalent in relevant field with 55 % marks from a recognized University. Applicants must clear NET test to apply for this post. 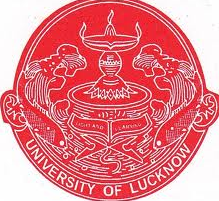 How to Apply : Contenders who wish to apply for University of Lucknow Recruitment 2014must download application through its main website that is lkouniv.ac.in. Fill the application in prescribed manner.Attach it with other relevant documents in support of age proof, caste certificate, qualification certificate etc and send it to University Address (provided below) on or before last date mentioned below.